The UK has a terrific show called The Great British Bake Off (or GBBO for short). This baking show films the creations (and disasters) of amateur bakers, who are judged by two cooking professionals. So, why are we talking about a baking show when we do B2B web design? Yes, the show is mainly about baking, but the dynamic between the shows amateur bakers and the professional judges is what makes it so likeable. The judges work with the bakers to help them along the way to creating truly wonderful creations. We thought the show was an excellent analogy for our best B2B web design projects. 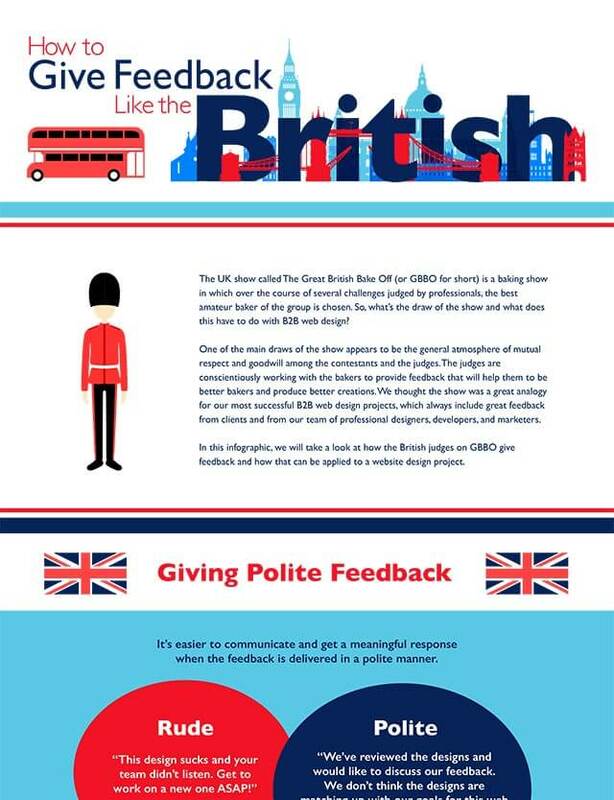 In this infographic, we look at how the British judges on GBBO give feedback and why that is relevant to your next website design project.